Over this next week and through Labor Day weekend, Colorado cops are stepping up their focus on identifying and arresting impaired drivers. While these types of three-day weekends can bring out more drunk drivers, Labor Day is particularly known for impaired drivers – and the fatal accidents caused by them, officials say. In fact, officials at the Colorado Department of Transportation (CDOT) have revealed that, annually in Colorado, about 36 percent of all DUI-related deaths take place over the Labor Day and Memorial Day weekends. : In Colorado and throughout the U.S., cops are stepping up their focus on arresting drunk drivers, a Boulder DUI attorney explains. Here’s what you should know if you’ll be out this Labor Day weekend. CDOT’s The Heat Is On DUI crackdown that is currently underway is occurring in conjunction with the national Labor Day DUI enforcement effort known as Drive Sober or Get Pulled Over, both of which started on August 21st and will continue through September 7th. Drunk driving is deadly, it’s against the law, and despite years of progress, it’s still a problem… With the help of law enforcement around the country, we’re getting the word out– if you’ve been drinking, don’t drive, because if you do, you will be stopped, you will be arrested and you will be prosecuted. Plan your ride now. If you know you’ll be drinking, don’t wait until the last minute – or until after you are intoxicated – to try to find a ride. If you find yourself stranded and intoxicated over the Labor Day weekend (or any time), find a place to stay. Stay with a friend or get a hotel room. Even if you have to pay $250 for a room for one night, that will be about $9,750 less than a DUI could cost you. If you do get stopped by cops over this weekend, don’t admit to drinking alcohol and don’t take field sobriety tests if you won’t pass them. 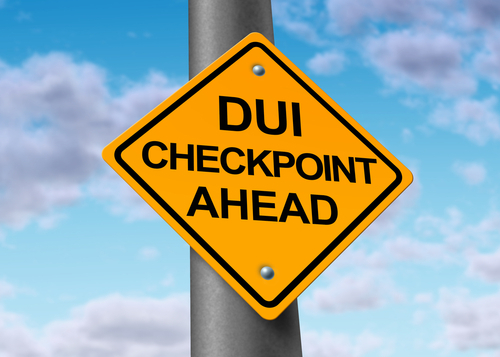 If you end up being arrested for a DUI, contact us We can help you start protecting and defending your rights.